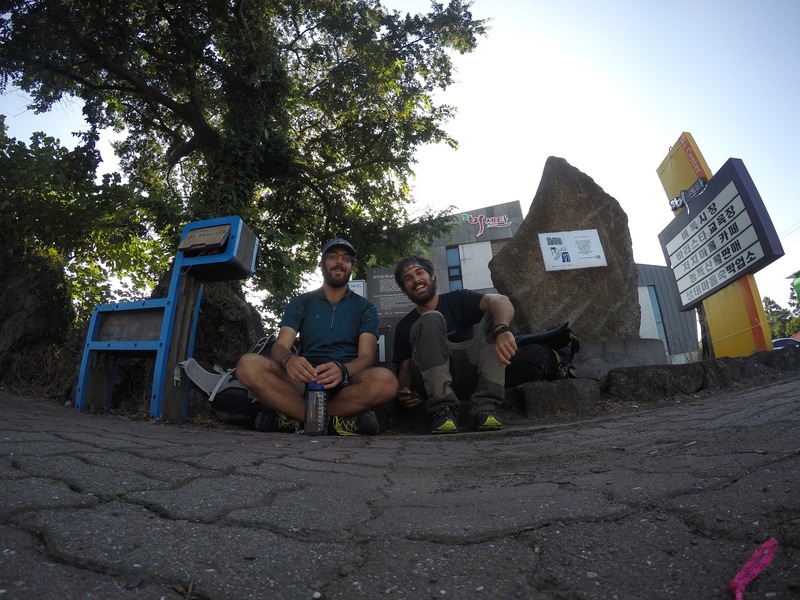 So next day after Chiba’s farm, the knee was not doing pretty good but the day was kind of short, only 74km. And I was staying in Yoshi’s farm, another host from warm showers. So I could rest my knee a bit. 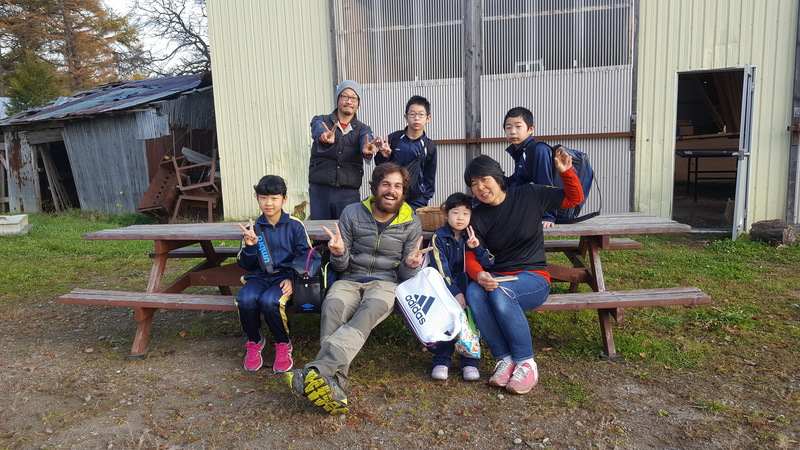 But Yoshi’s family turned to be the most kind and welcoming thing that happened to me so far in the trip that I decided to stay 3 days in the dairy farm helping them milking and enjoying with this nice family. We shared some good food and stories and learn one from each other. Was magical! I went playing volleyball with Yoshi in the local meeting and cook some spanish tortilla for them. We made some fixing and improved the bike (Good Mama) placing a new handle bar and new seat bar. I got pretty good memories from here. One of the days I went to Kussharo-ko (ko=lake) a beautiful place with some natural spa (onsen) I went skinny dipping in the onsen and in the lake. 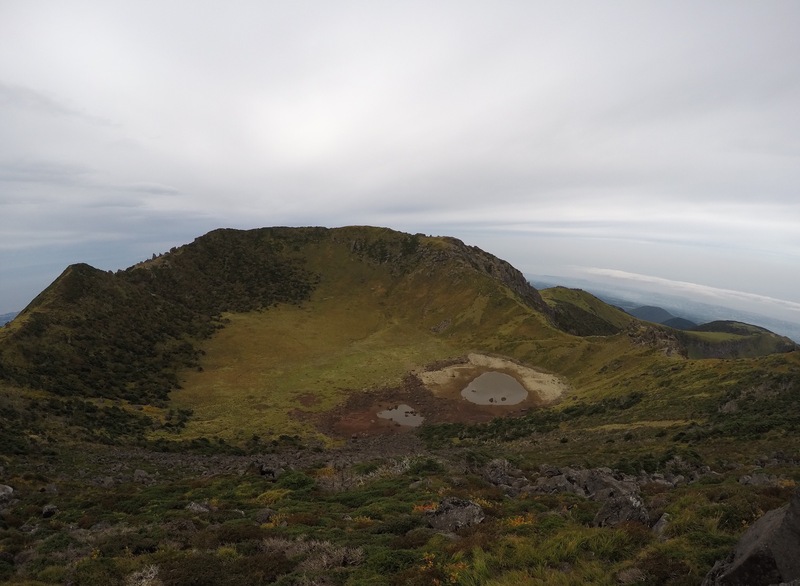 Was an incredible atmosphere of the mountains with the snow and and the lake with the onsen. I went hitch hiking so I met some very nice people in the way there and back. The last person, Yukata, a farmer for wine and dairy, took me all the way back to Yoshi’s farm. Pretty good days where I could heel my knee a bit and meeting some amazing people before keep going. 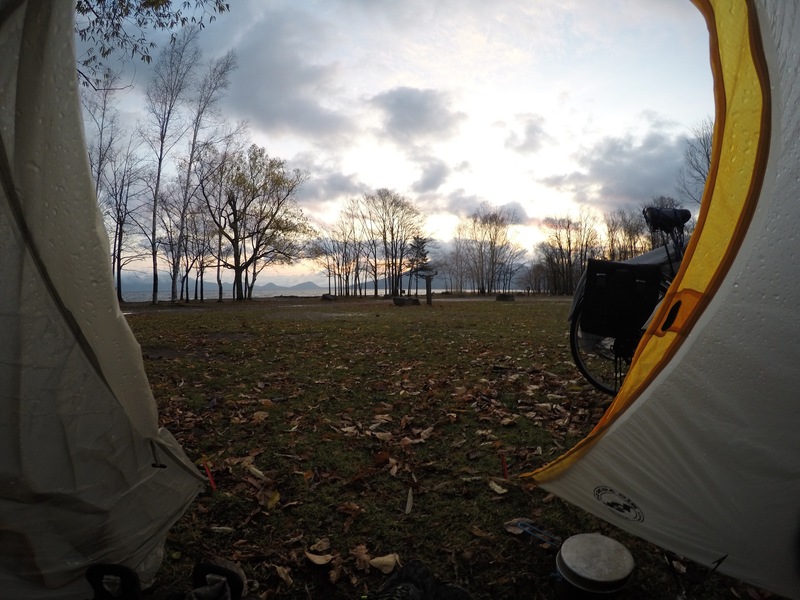 The next day continued my way to Kushiro already in the south coast where I could camp in a local park. Next day was not very good. I started the day with a flat tire. I spent half morning fixing and finally buying a new tire. 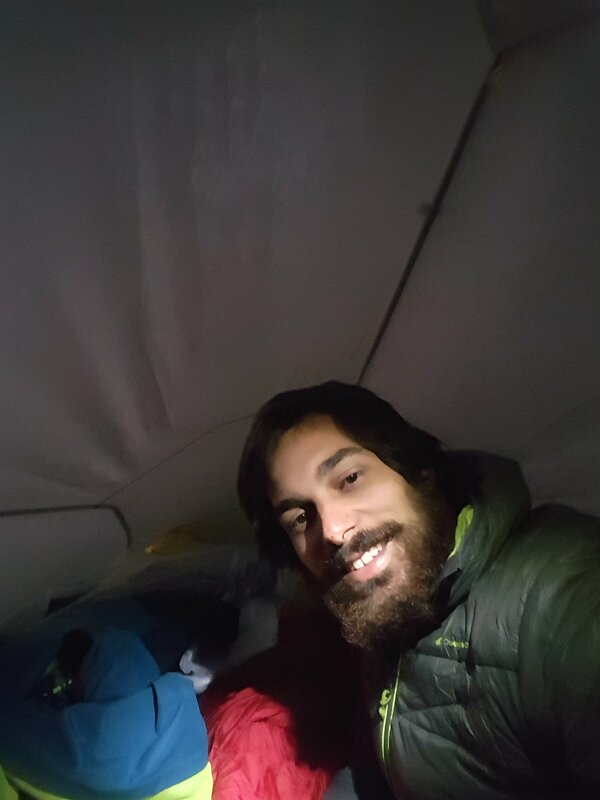 After there I kept going this time with face wind which slowed me more than expected and ended up camping in the middle of a storm half way where I planed to arrive. Next day I could finish the section and get to Hiroo where I found an abandoned camping (at least for the season) with wood and fireplaces. Despite the wood being quite wet from the storm my desire of making a fire was bigger so after a while I got my perfect campsite set up, tent and fire where I also took the chance to cook. 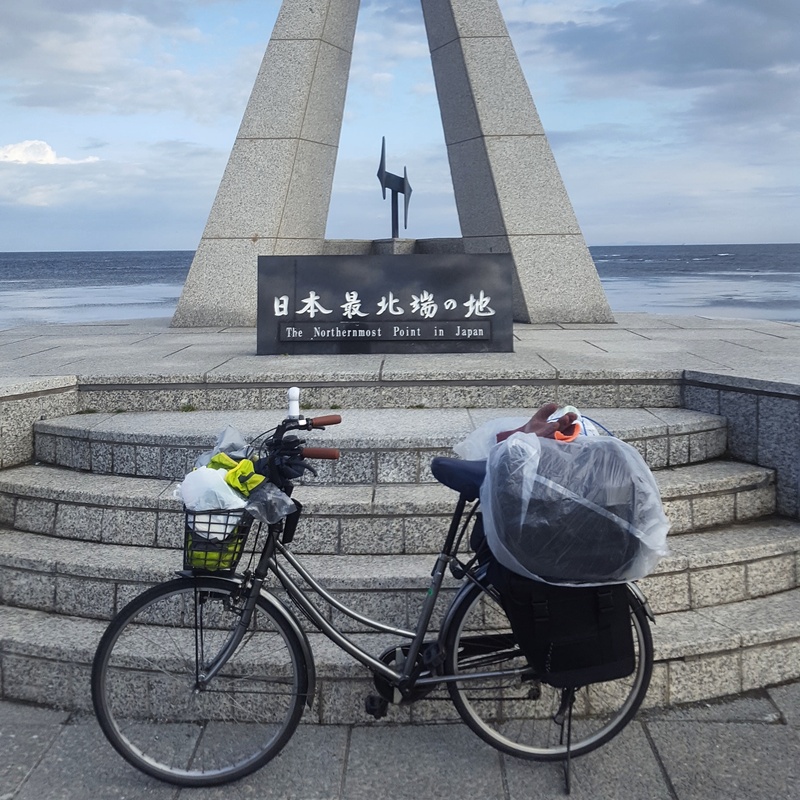 The next two days where not so bad except for the face wind which made the days pretty slow and long until I made it to Tomakomai, only 4 days away from Hakodate if everything goes well. The lonely north of the north. 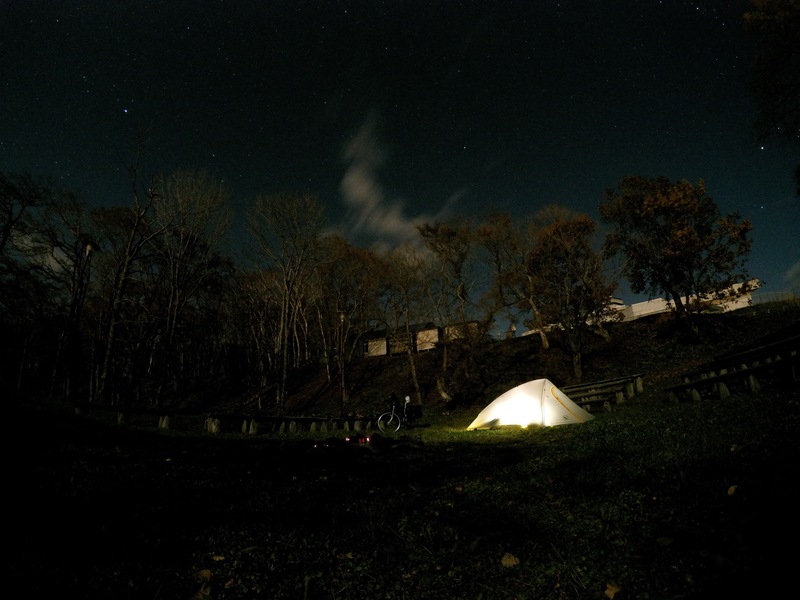 Back from Rishiri in Wakkanai, I spent the night in a camping close to the city center. 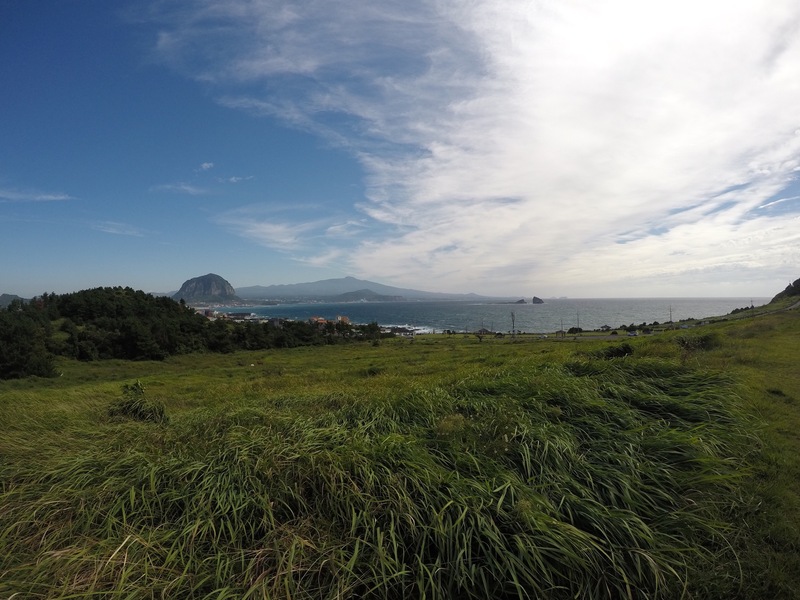 Next morning I packed early as usual and headed to the northernmost point of Japan, Soyamisaki (Misaki=cape). I was lucky as I got some back wind that helped me get up north. 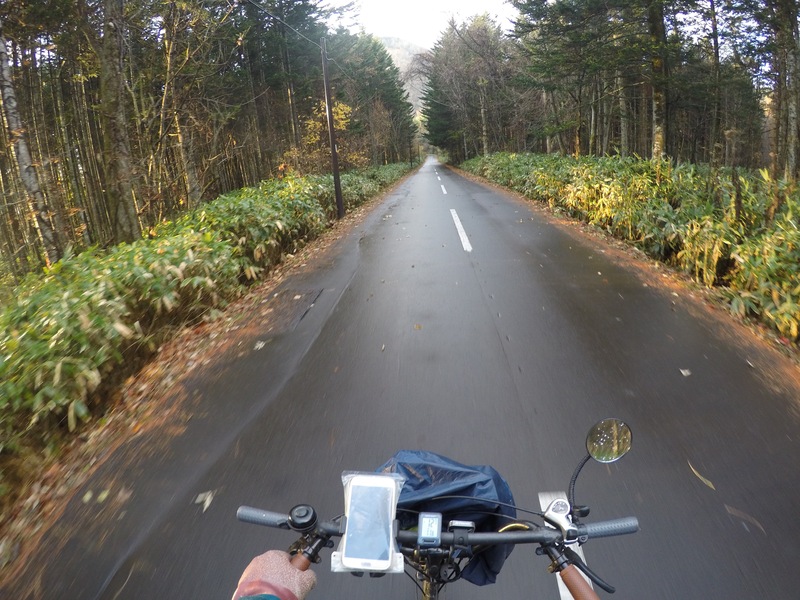 Then I started going southeast following the coast along the route 238 that runs all the way to Abashiri. This road it’s supposed to be one the loneliest roads on Japan so the ride was very quite and enjoyable. Also the sun helped! It took me 3 days to complete this section of 296km. First day I made it to Hamatombetsu from Wakkanai. 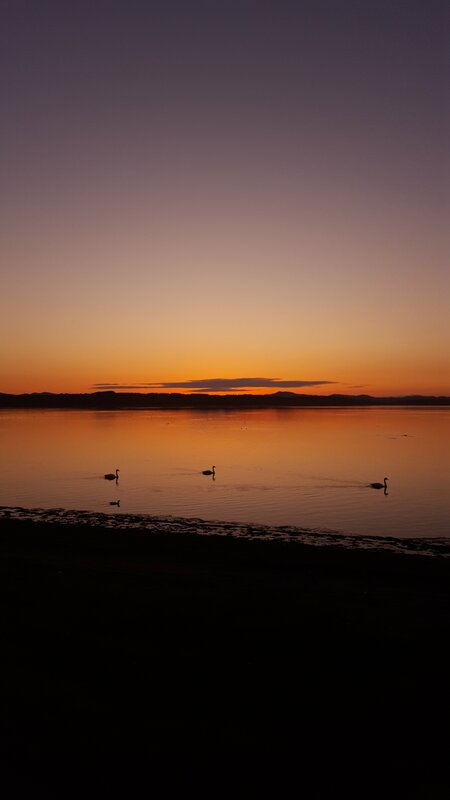 I was very fortunate with the weather and got a beautiful sunset by a lake I also met some campers who gave me grapes and baptized the bike with the name of Mama chari which is commonly used in japan for really old city bikes. After a while I started to call her “good mama”. The second day I got again some wind blowing in the back so I could make the record distance so far of 131km. I went up to Tombetsu where I found one this covered bus stops very modern and cozy. It was that nice that I even played some music!! The third day was the worst as I got the typhoon blowing and poring pretty much all day so I made it to Tokoro just 20km away from Abashiri. 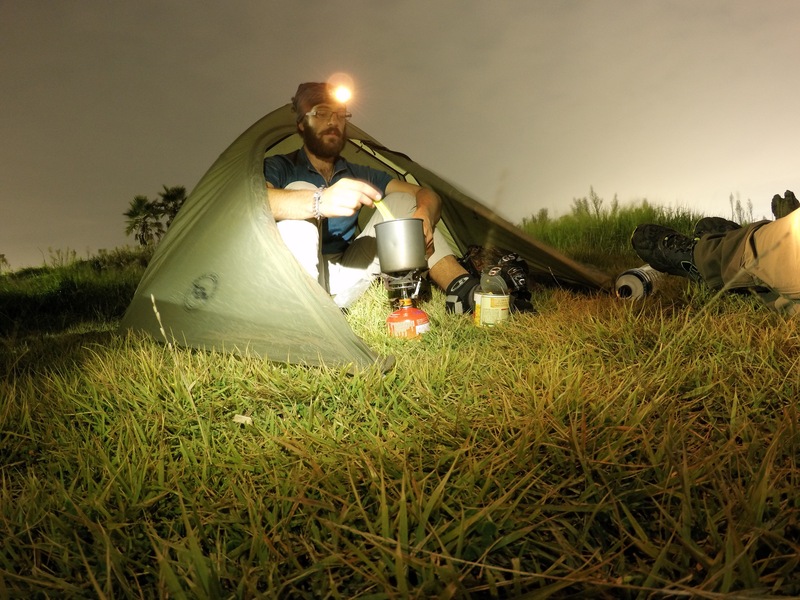 The day after I made it to Abashiri really early in the morning and kept going up to a farm in Koshimizu where Chiba a host from Wharmshowers let me a place to sleep and some good feed for the night. He is 62 and been riding all over the world for 40 years so we exchanged many stories and he gave me some advice about touring. I also helped him and his brother to collect some beet in the farm which was quite fun. After the last few days of many kilometers, my knee was quite sore. So I think I will try to keep it easy the next few days so I don’t break apart. 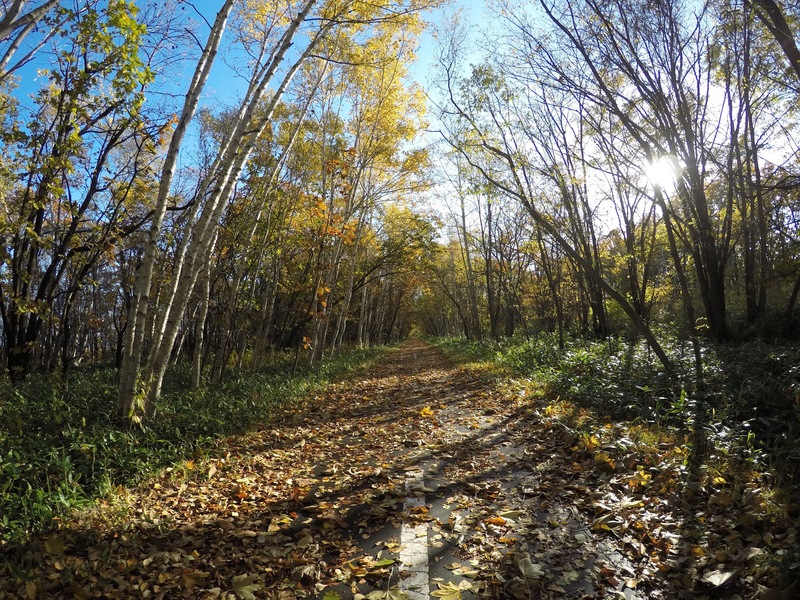 Cleaning up the to do infinity to do list with this video from the 380km trail that my friend Eloi and me did back in september. Jeju Olle trail + Hallasan from Jorge on Vimeo. 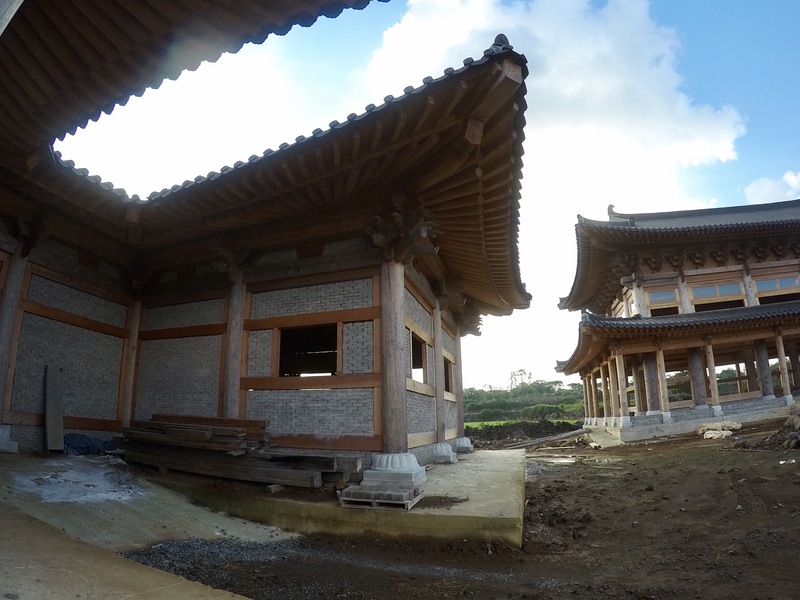 After Busan, I went for a quick check to the towns of Pohang and Gyeongju before heading to Jeju island. Pohang it is a coast town with nothing specially interesting but have nice beach and views of the bay, also many parks around the coastline. 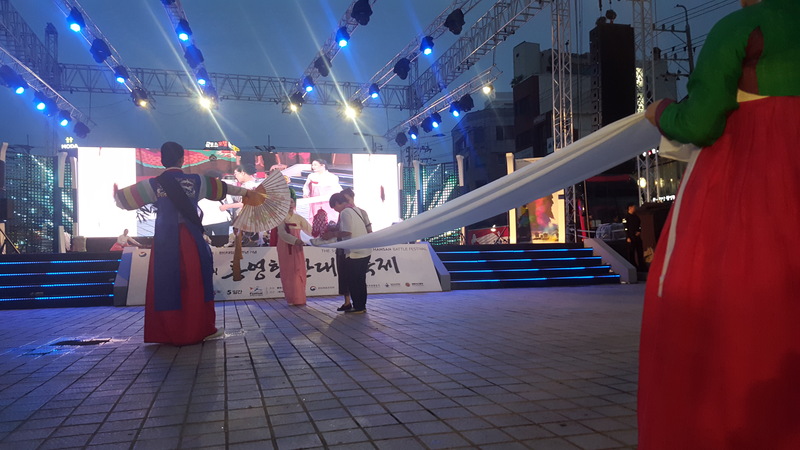 On the other hand, Gyeongju it is a very historic city, capital of one of Korean kingdoms for a long period.  It has many tombs and historical remains and also a very nice historical museum where you can get a pretty good idea of the importance of the city. 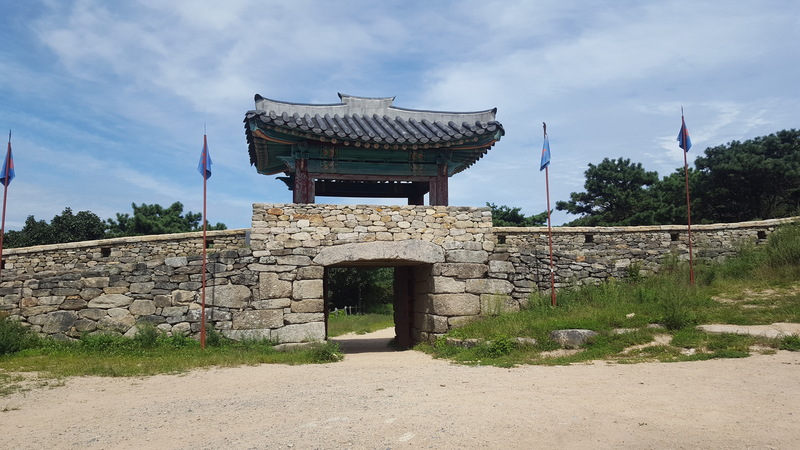 About 40min bus ride from the town you can find a beautiful budist temple called Bulgoksa which is also situated on the perimeter of a national park with many hikes around. Unfortunately the temple it is very popular and large numbers of groups visit it. The temple opens at 7.30h so you have like 1.30h to see it quietly before the crowd show up. Walking around the tombs and the park it is very nice and pleasant so I totally recommend it! Also in this two smaller towns I could feel that the people was warm and kind. I got invited to a coffee the night I arrived with a very kind man and we shared some nice words and gestures as the conversation was not very fluid. The sunrise the next morning was beautiful and despite the industrial view the landscape was amazing. Has been almost 2 weeks since I arrived to Busan. I have been most of the time working for accommodation in a language cafe. My task was basically talk english with the students and help them with their speaking and listening skills. The only problem with it was that the schedules are a bit inconvenient depending on the shift. 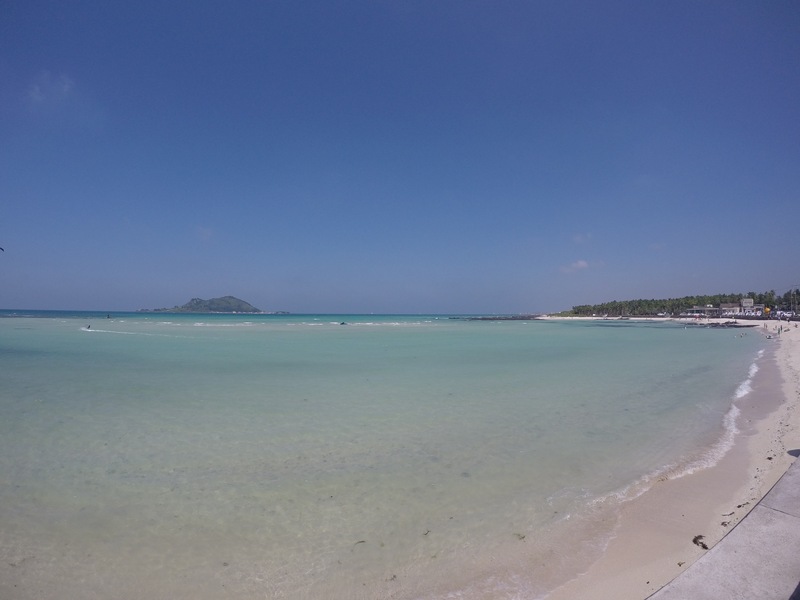 I got to visit some mountains and temples around and of course the main beaches in town. 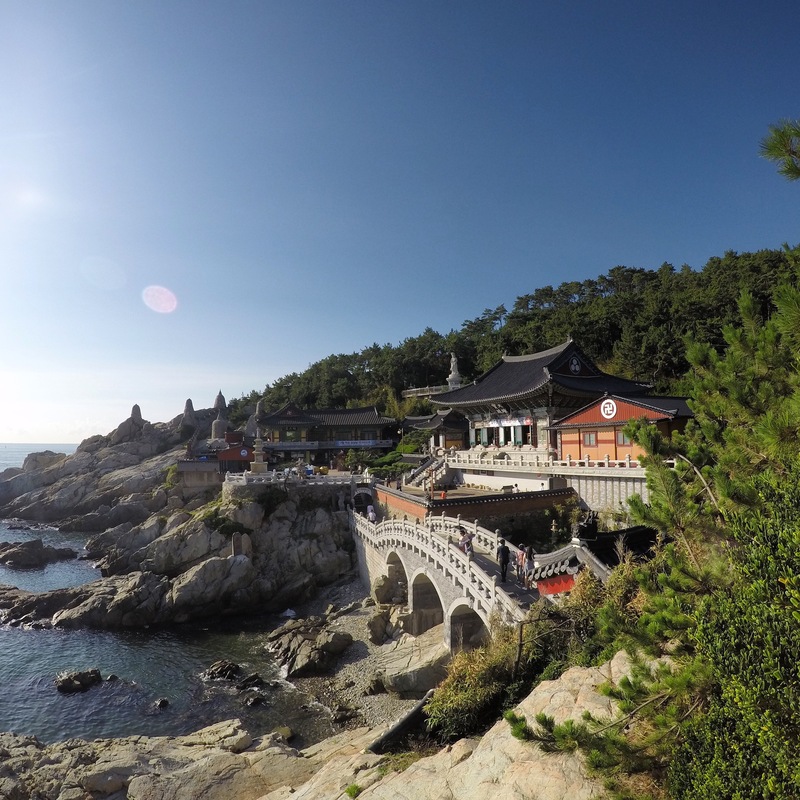 The name of Busan in Korean means Bu- Many and San-Mountain so you can get an idea of the city. The city also have a good university atmosphere so you can find party and cheap food pretty easy. 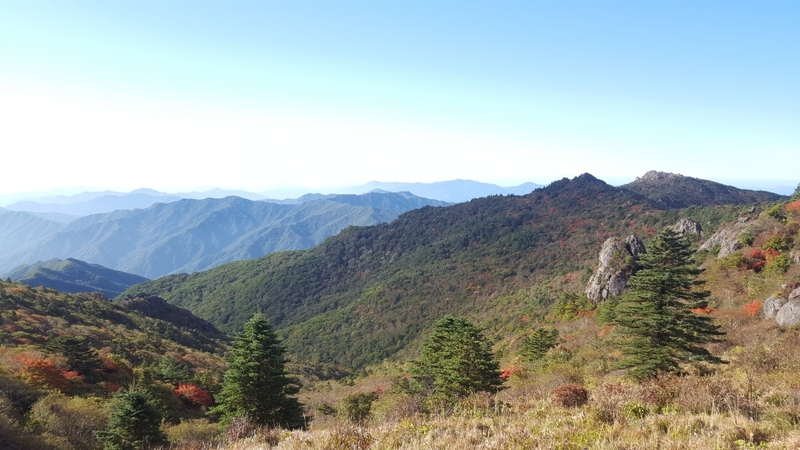 So as some of you may know I had to abandon the baekdu deagan trail that cross the South Korea peninsula because of the heavy rains from the Monzón, we were evacuated. I decided then head south looking for some sun and less rain. 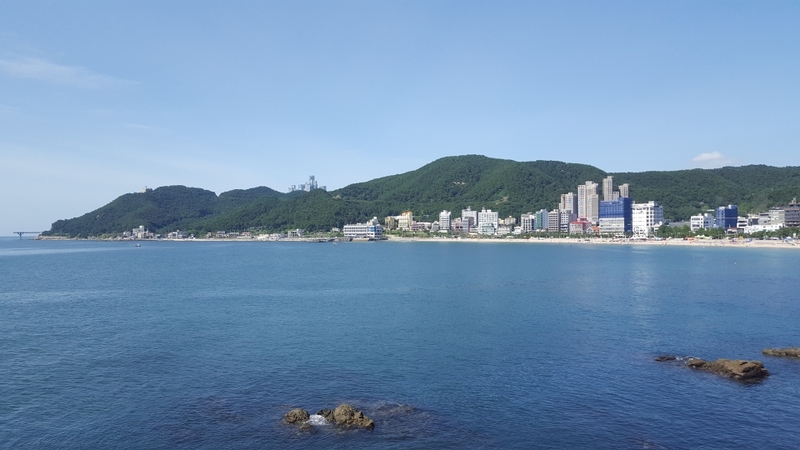 So after doing a bit of emergency research I got to find a place to work in exchange for accommodation in Tongyeong, a city I had never heard of before, in the south of the peninsula. Unfortunately the weather was not much better than in the north as it has been quite rainy also but at least I was not sleeping in the middle of the forest. The guesthouse were I worked was pretty welcoming thank to the owner that is a really nice and funny person always willing to help. Tongyeong it is a nice little town that lives mostly from fishermen and tourism. 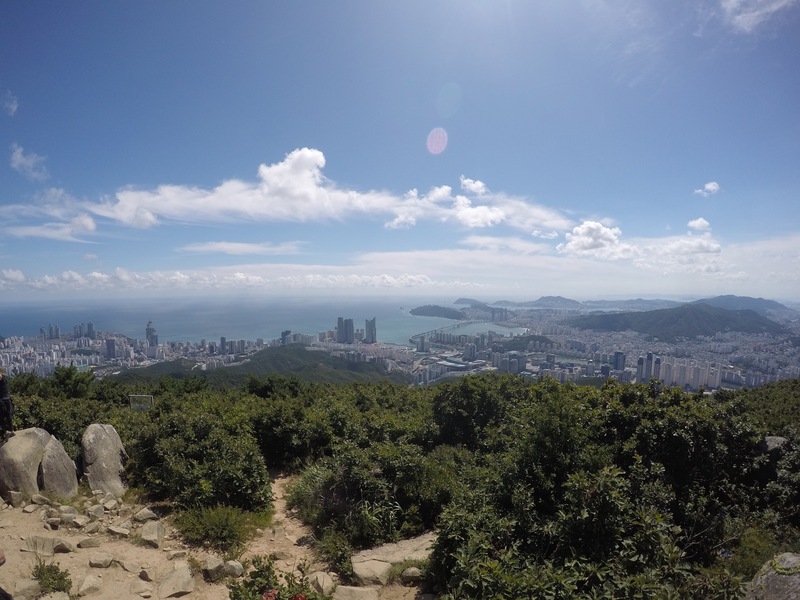 It has nice views over the bay and the Hannyeo marine national park. From here yo can go to many of the island in the marine park like Bijindo or Somemuldo which are among the most famous. Depending on the island you may find beach or not. 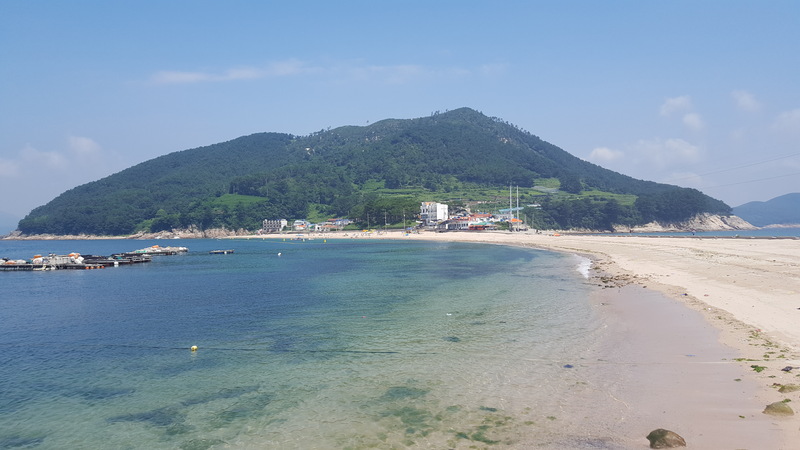 I strongly recommend Bijindo as the ferry it is not so expensive (16$ round trip) and it has a beach and a couple of nice trails to the peaks of the mountains. Somemuldo it is similar than Bijindo and has no beach. Also the ferry it is much more expensive (around 35$ round trip). I was very lucky to arrive the day the Hansan battle festival was starting. Among fireworks and free food stands you could find many concerts of traditional music and representations of the battle. 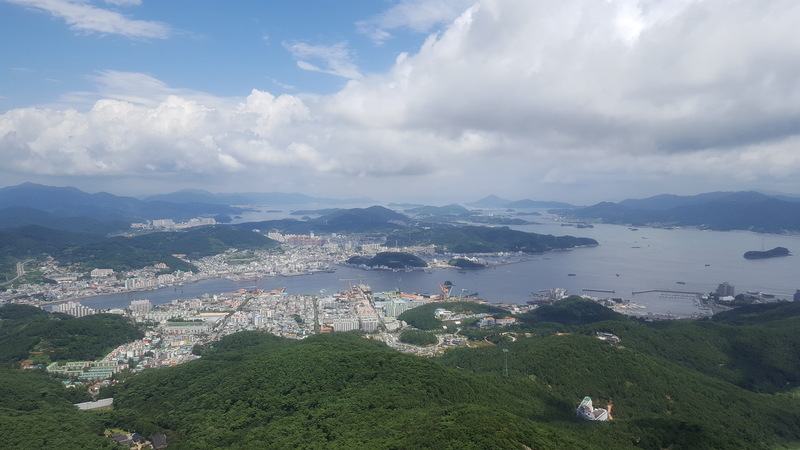 In Tongyeong there are many attractions as an undersea tunnel build by the Japanese people, a cable car going to the top of Miruksan mountain, you can also walk to the top trough the many trails they have! From there you can also take down the loose cars and enjoy the marina or the beach close to it. 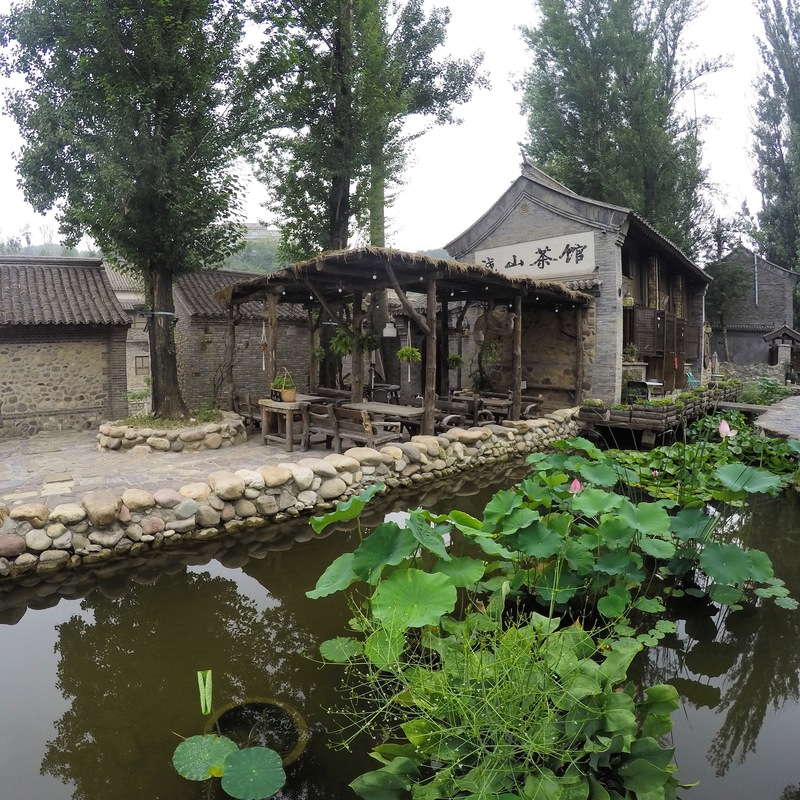 In the city you also find the painted village the music park, and the very nice Yi sun shin park where you can view where the Hansan battle took part. On top of this you can go to sunset road where you will see amazing sunsets as it goes through the west coast of the city. From here you can go to Geoje island, which is a nice place to. I am now in Busan after 10 days in Tongyeong to discover the second largest city in South Korea where I will be working for accommodation as well but this time in a language cafe. Sorry for the delay but not so much access to internet!!! 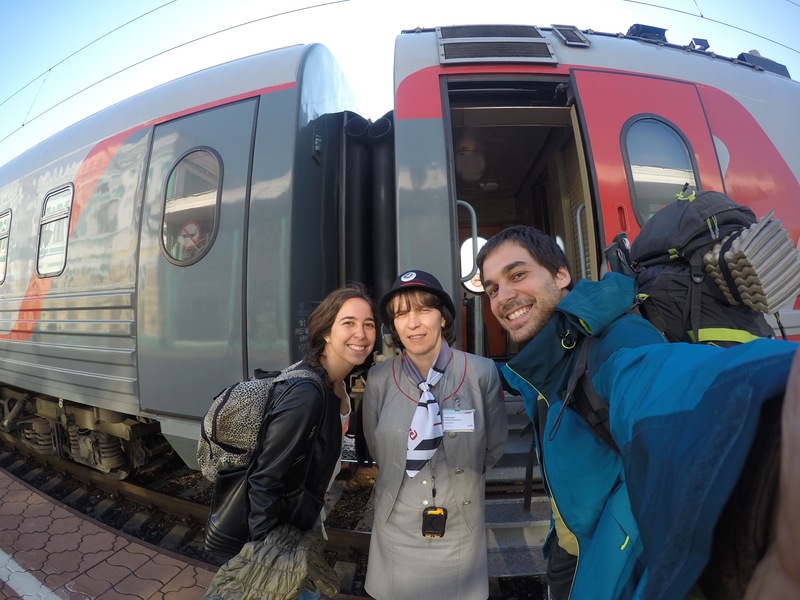 Train trip from Jorge on Vimeo. Finally we arrived in Seoul!! After the Esperanto congress that took place in Seoul I will continue my trip alone. 10 days in the capital exploring the city and visiting some old and new friend while preparing the next destination is my mission. 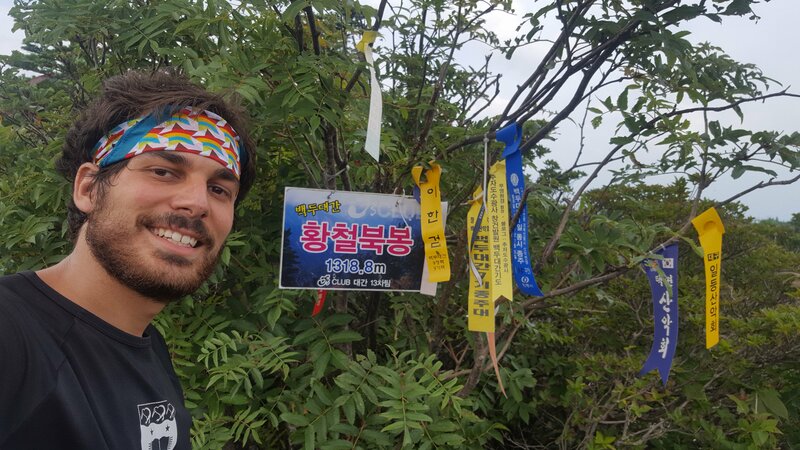 So one of the goals while here was to train a bit for the next trekkings to come, so I decided to do the Seoul city wall challenge. The wall extends along 18km around the city although some parts the wall does not exist most of the reminings are in the forest part of the city and the mountains. The trail took me a bit less than 8h and a total of 24km walked. 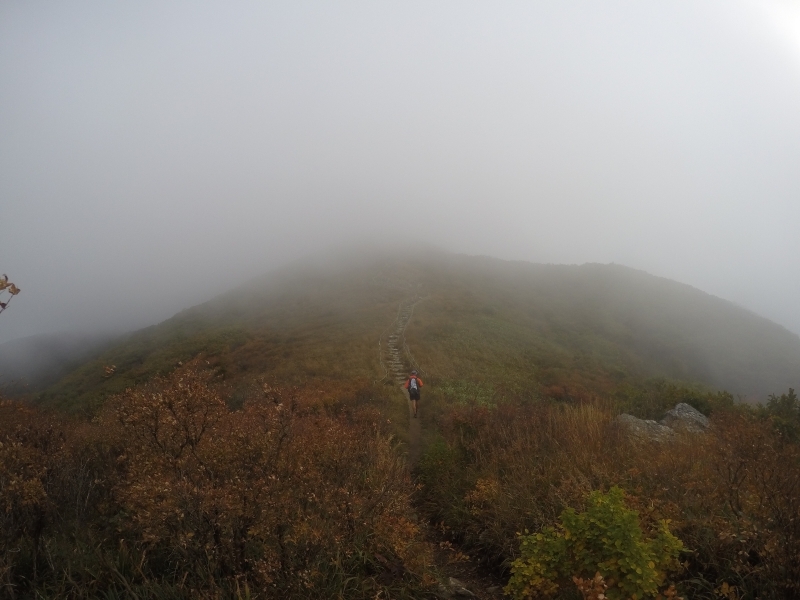 Was pretty hard at some points specially for the high temperatures and the high humidity. 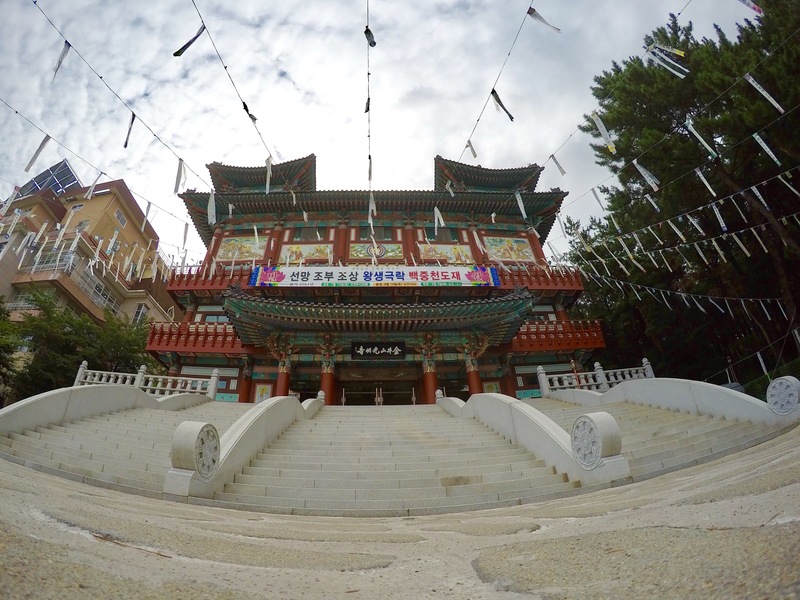 Seoul city wall challenge from Jorge on Vimeo. The capital of China it is just a different world. It is a massive city, with massive population, massive tourism and unfortunately massive pollution. 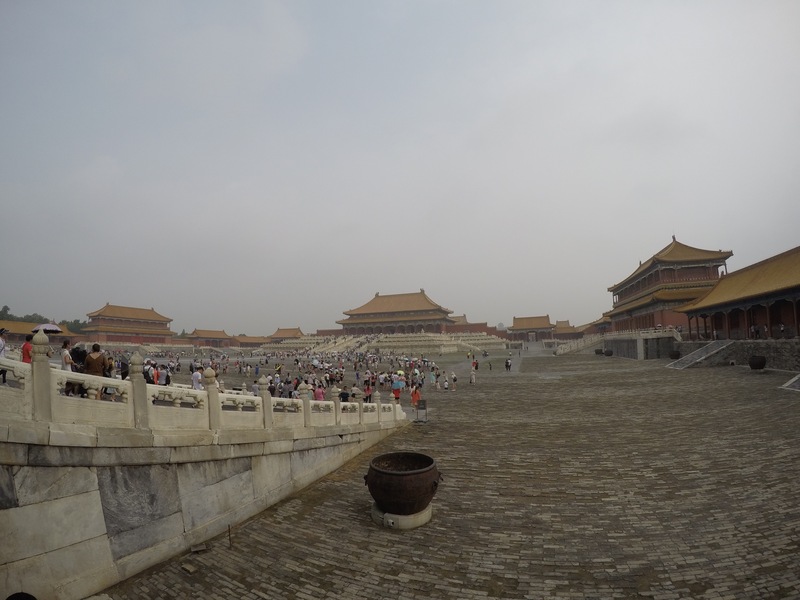 Beijing offers anything that the traveler may need, monuments, museums, palaces and many more attractions. The gastronomy it is very wide and you can find many different dishes but the specialty it is the Beijing duck. 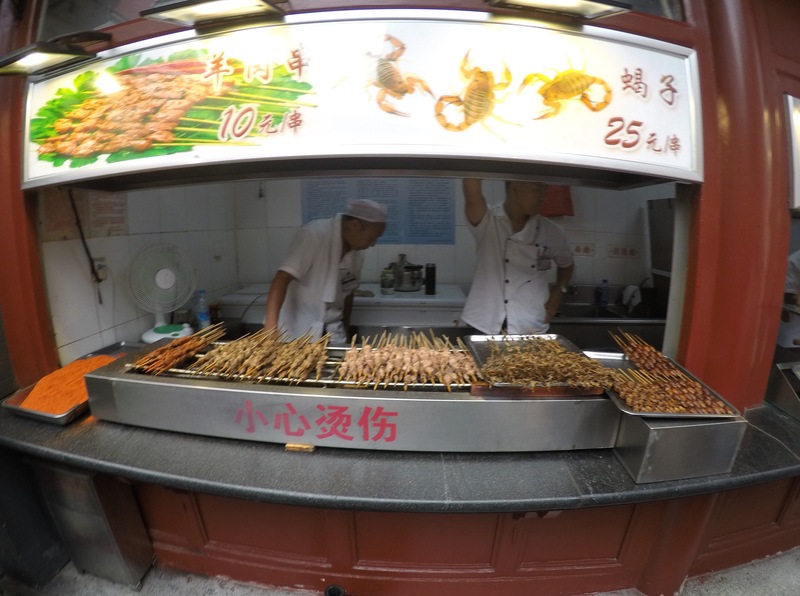 There are also very popular street foods which we found very interesting and cheap. 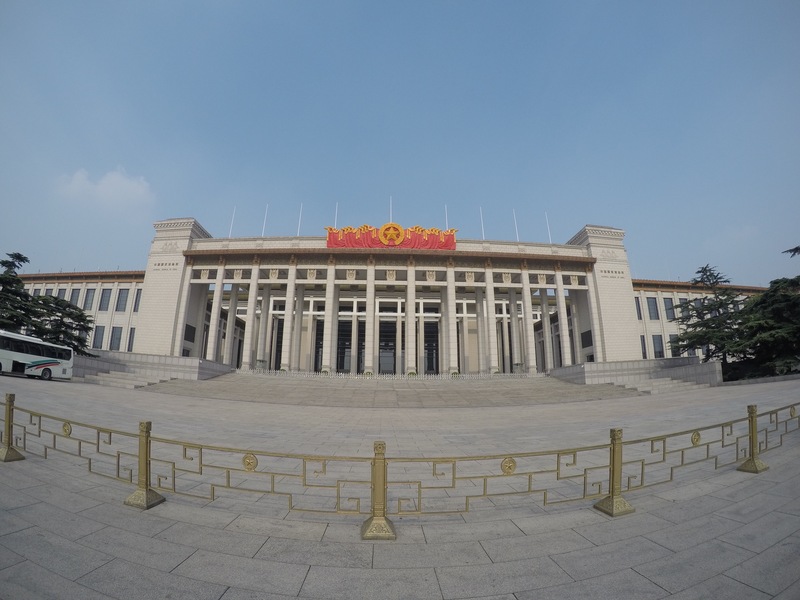 The must see in the capital are the Forbidden city, the summer palace, the national museum of china (you will spend at least one day to see it all) and if you have more time you could see the hundred-flower garden which it is situated in the park of the hill of prayers and the circular altar. There are also more than 100 museums located along the city. The subway it is super cheap so makes it a very good option to move around. Among the many comercial areas we found 2 very interesting ones, the Wangfujing snack street which is full os street food shops where you can find rare specialties such scorpions or grasshoppers, and also some souvenirs, and the other place it is located in Dazhalan street and Its surrounding area. Many different shop and food places are found in this area but explore specially the east part as there are artisanal streets with arts shops and good prices. 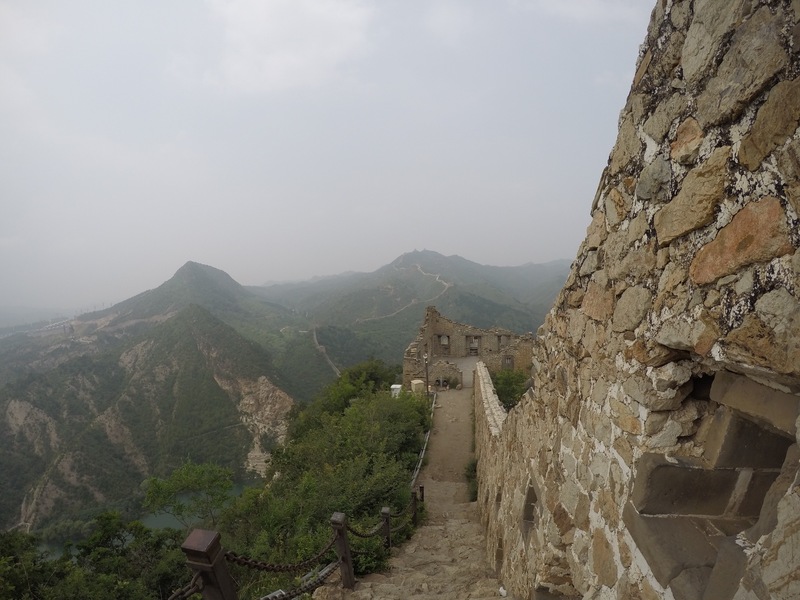 Of course do not miss the Great Wall, One of the 7 wonders of the world!!! From there are many access points to several sections BUT be careful which section you go as you may find lots of tourist to the point of impossible. As far as we heard the worst location it is Balding which is the closest and the best preserved one. We visited the SIMATAI section which has an impressive view over the mountains and also the river that cross the wall. 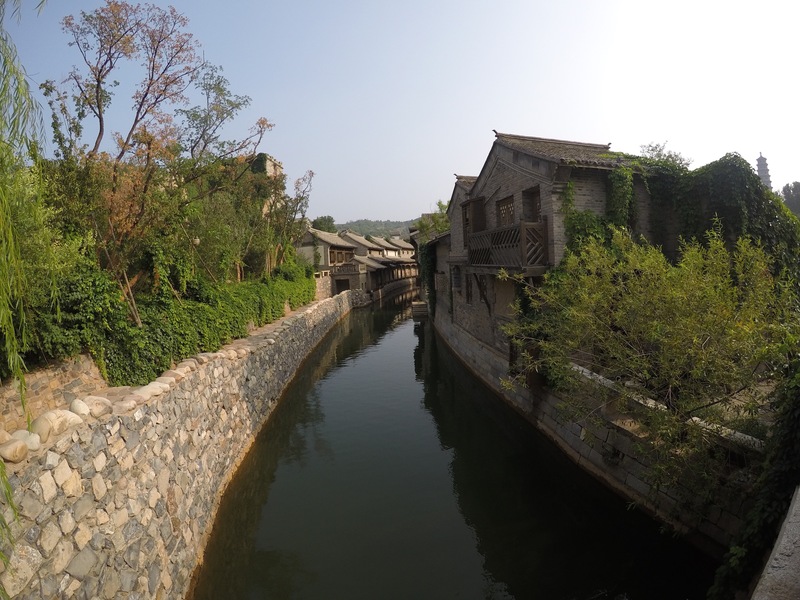 On top of that, the access point is the Gubei water town, a traditional village that was restored for tourism propurses. Despite it is a touristic place has nice sights around and you can get an idea of how it was in the past.